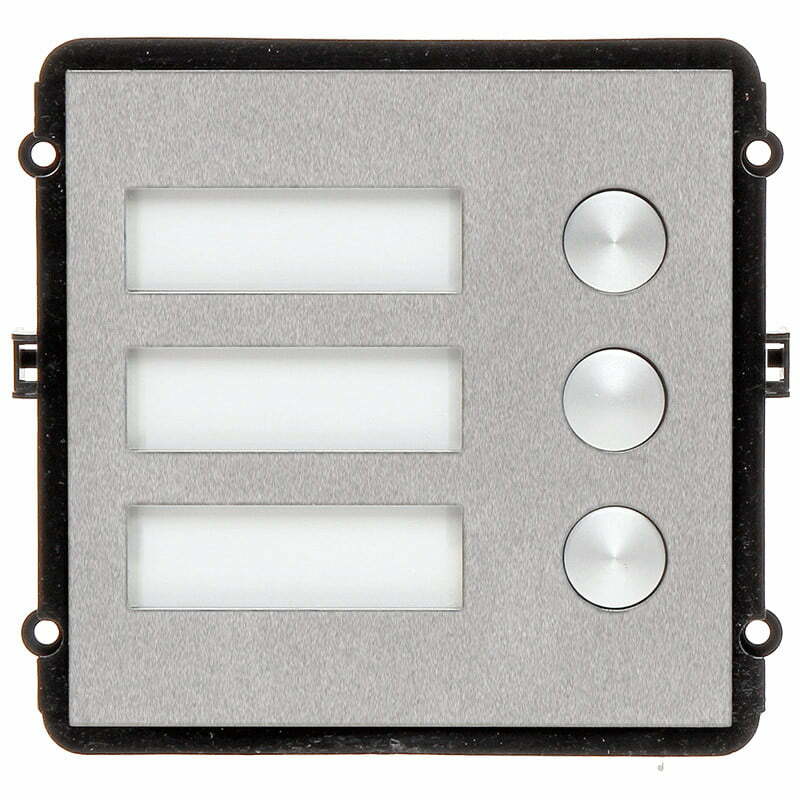 Multi-button module for use in our Villa system. Experience a multitude of modern intercom features which can be easily expanded and managed via an IP based network infrastructure. 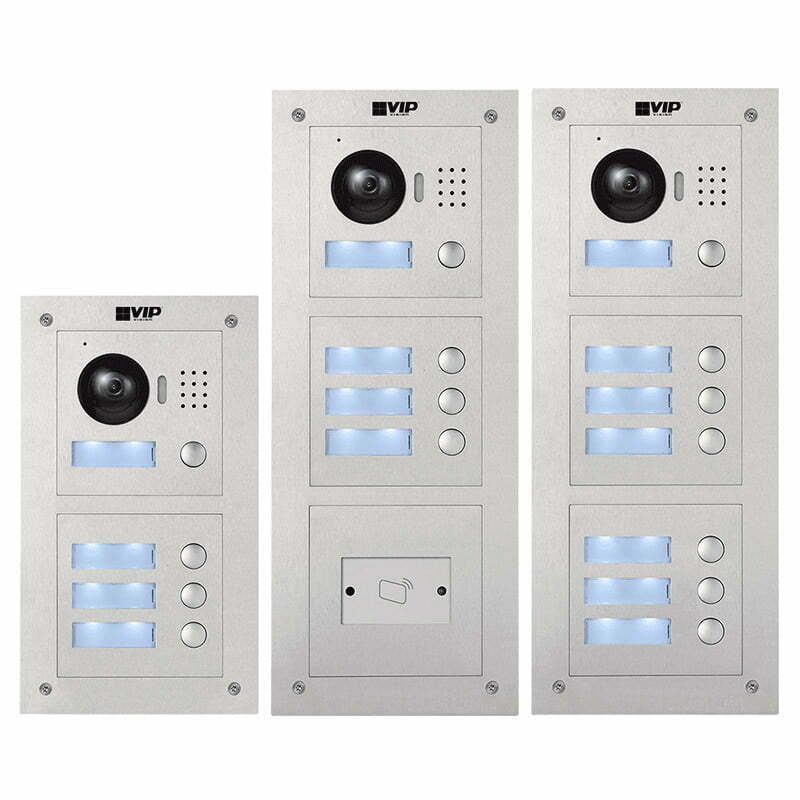 The INTIPVDSB is a door station button module for the VIP Vision Villa IP Intercom Series. 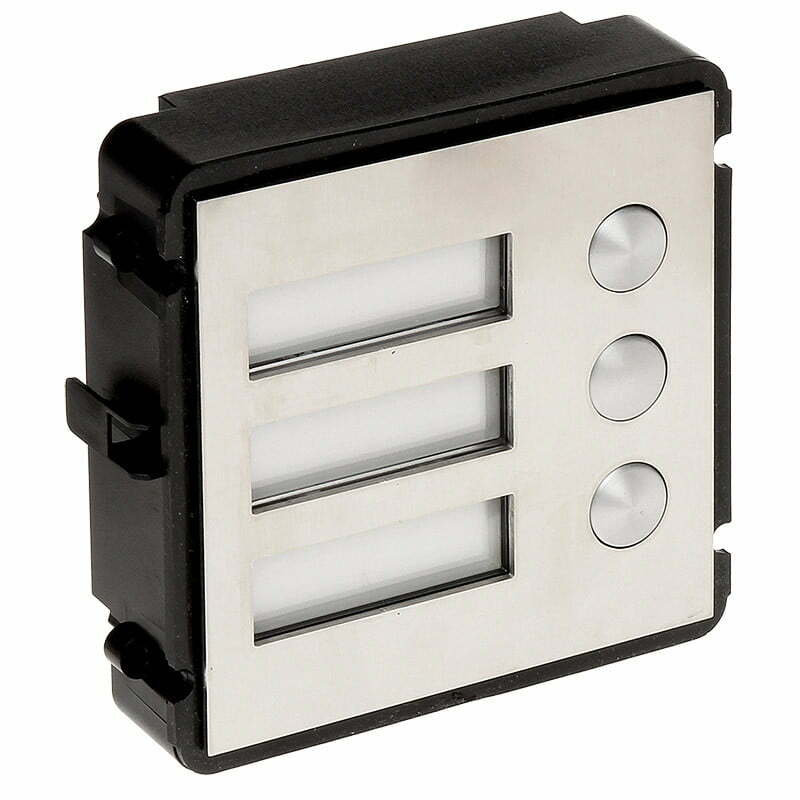 This compact unit features a robust stainless steel front pane, with 3x simple single button doorbell operation. It is IP54 weather resistant, IK07 vandal resistant and is compatible with the entire VIP Vision Villa IP Intercom Series and supporting accessories including door strikes and networking switches. Up to 20x door stations and 100x indoor monitors can be installed in a single system making it ideal for small apartment blocks and multiple building dwellings.